Author Robert Sullivan and his brother visit the man. 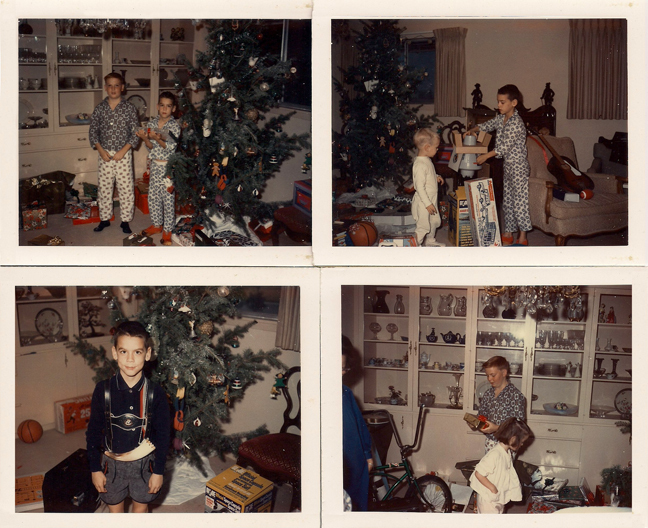 The Wolff children on Christmas Eve. 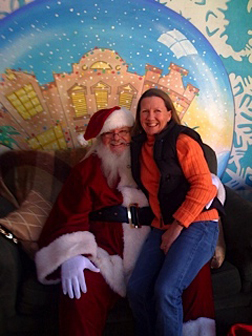 Send Us Your Santa Photos! 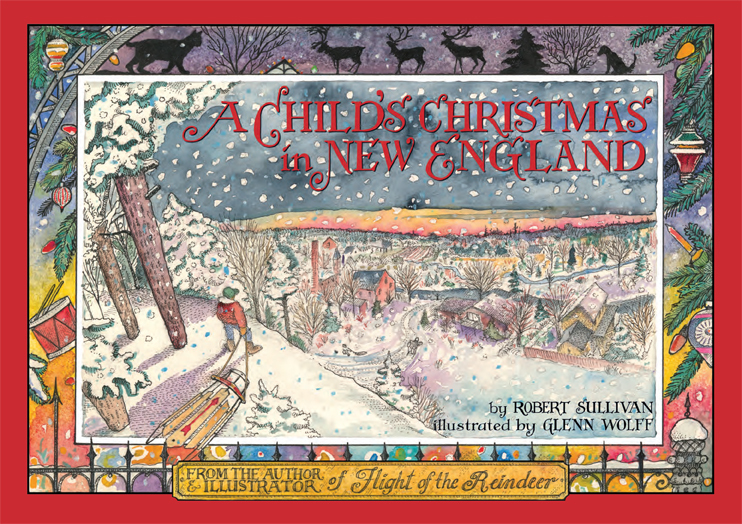 The author Robert Sullivan and illustrator Glenn Wolff, the guys behind the Christmas classic Flight of the Reindeer (which comes out in a children’s edition this year), have teamed up again on Bob’s new Christmas memoir of the 1950s and ’60s, A Child’s Christmas in New England. 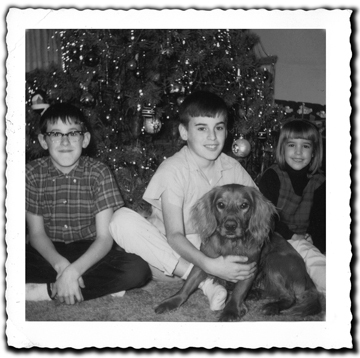 We hope you like the whole book, but regardless: You have to admit they got the author photos right, and here they are: Bob with his brother Kevin and a fellow named Claus in the late ’50s, and Glenn a couple of years later with his brother, sister and dog named Gomer. We enjoyed sharing these, and thought you might too. 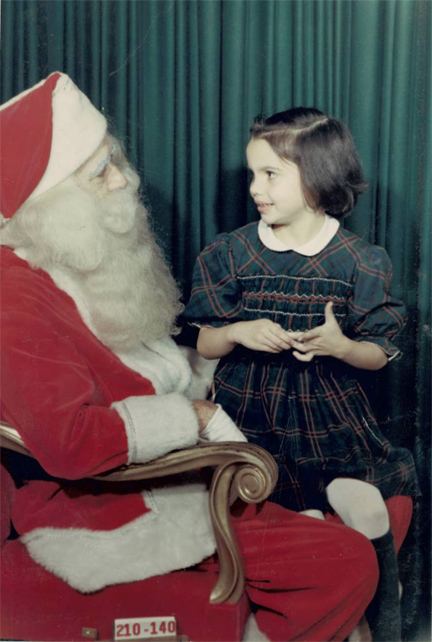 Send us your childhood Santa photos to santaphotogallery@gmail.com and we’ll build a gallery. Spread the word in this Christmas season! And please enclose some brief caption info if you’d like. 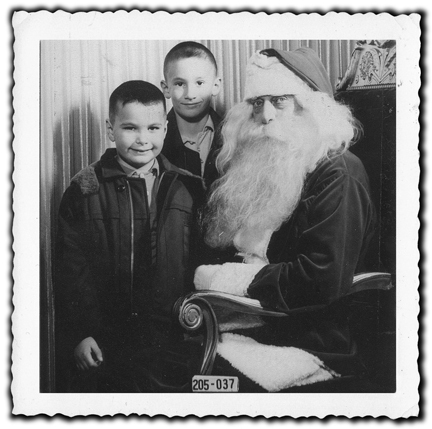 We don’t want to turn this into a contest—that’s not in keeping with the spirit of the season!—but Bob and Glenn promise to sign and mail, in time for Christmas-day wrapping, ten copies of the new book to those who, in Santa’s opinion, successfully bring us back to when the snow was deep, the lights were many colors and we all threw tinsel on the tree. 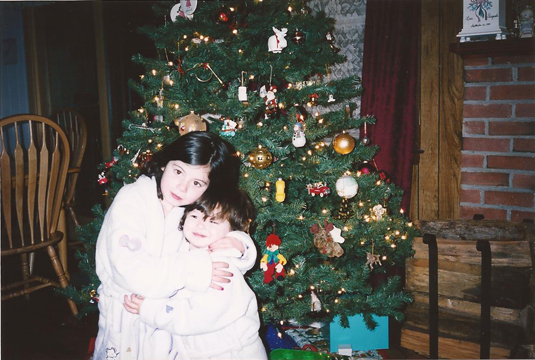 Happy Holidays, friends. 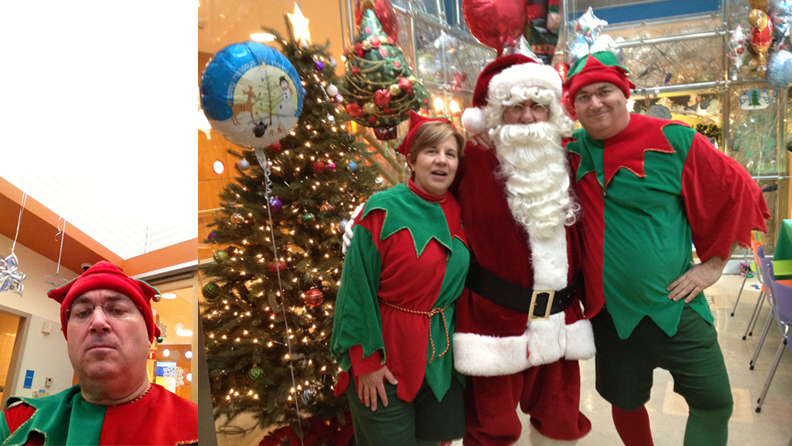 Joe, New York City, years after Santa’s knee, volunteers as an elf at the hospital. 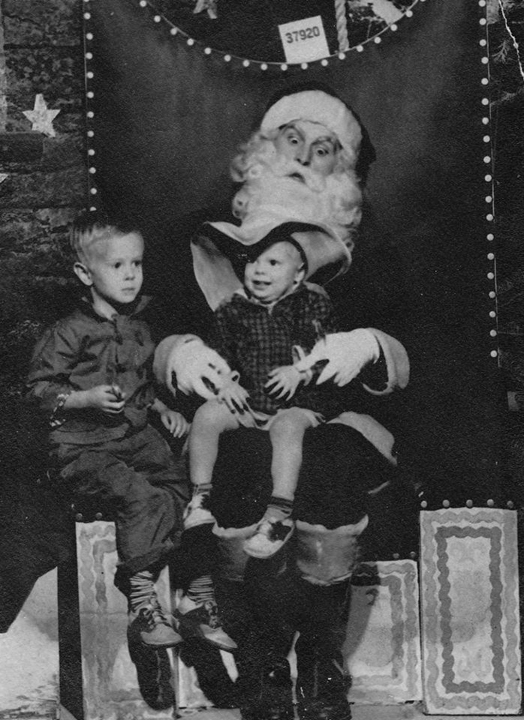 Parlan (left) and his chapeaud brother in Los Angeles circa 1959. Wendy, over the moon in Charleston. Here’s Mary at Marshall Field’s in Chicago in 1951. 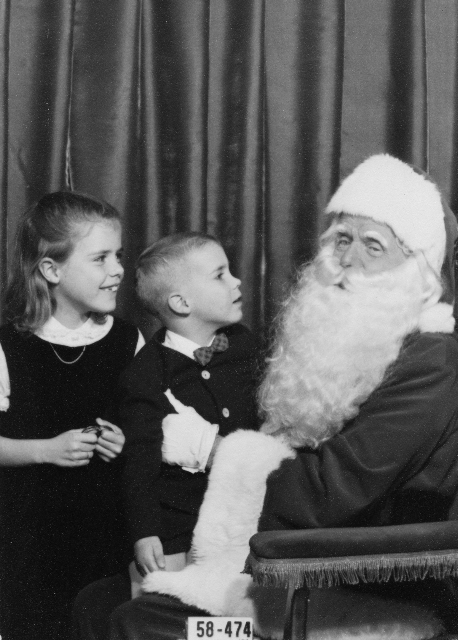 Bambi and brother Jeb with Filene’s obviously overworked and weary Santa in Boston, circa 1958. 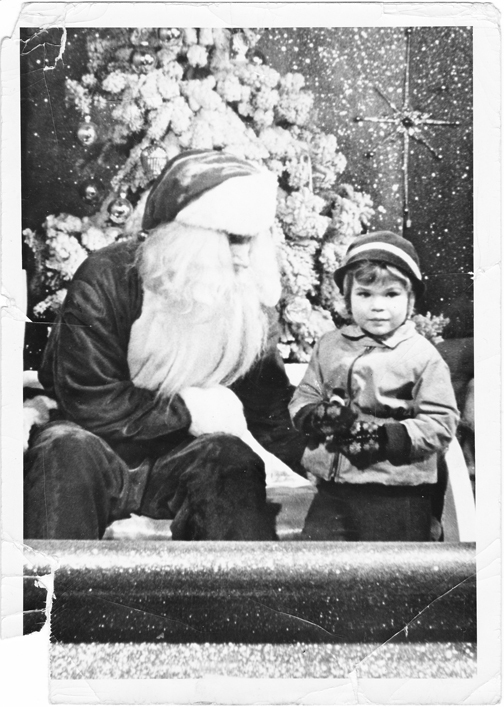 This is Gail, the girl who loved “The Little Drummer Boy” in our book, at just that time, circa 1963. 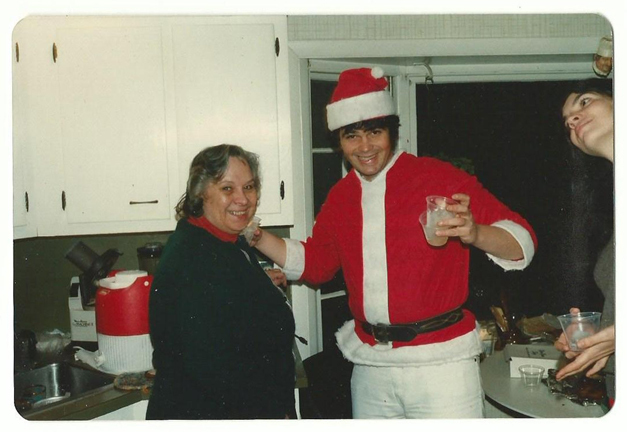 Bob Sullivan and two principals from A Child’s Christmas in New England, his mother and sister (she who loved “The Little Drummer Boy”). 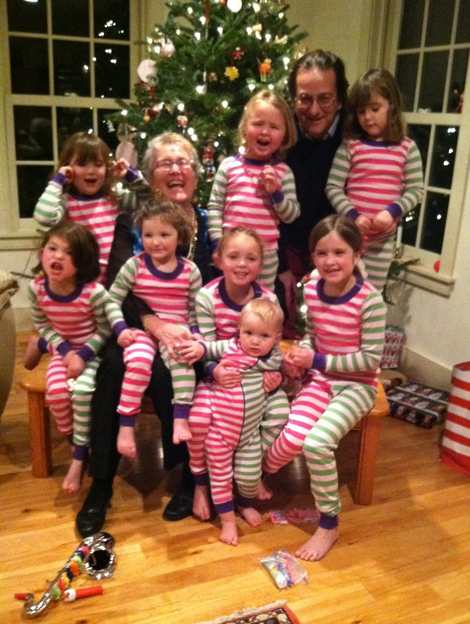 Carole and Ib, publishers of our book, with a horde of happy elves. 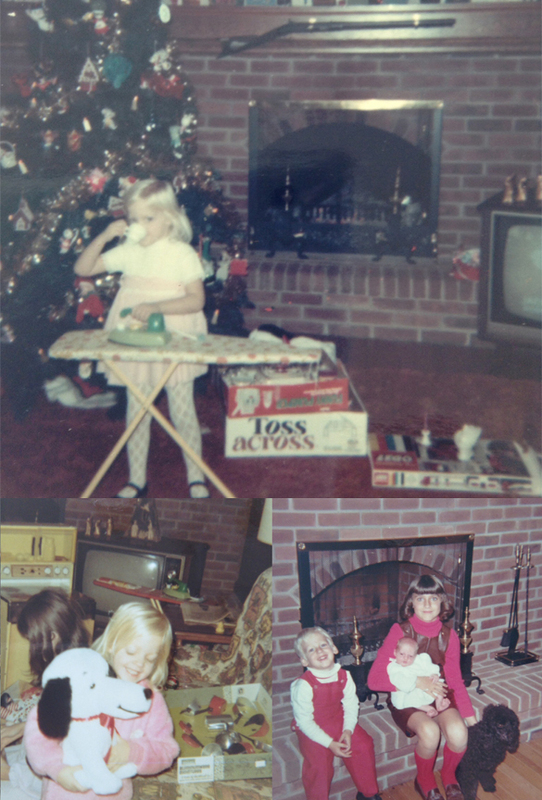 Our book’s terrific publicist Kat, seen multitasking, with brother Troy and sister Laura in this sequence. 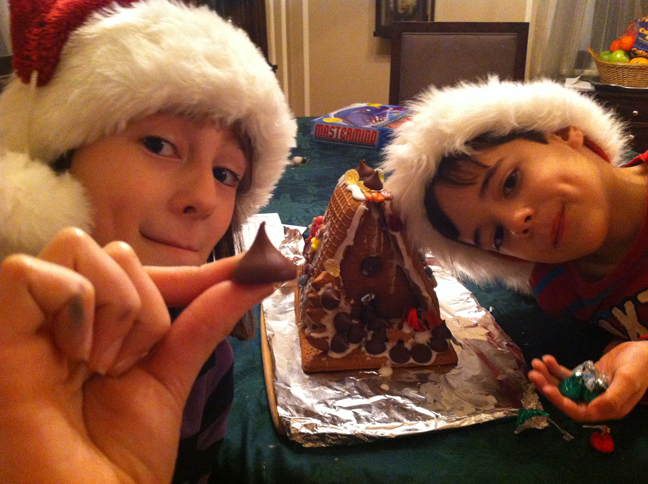 Shonna’s elves are just too cute in NYC. 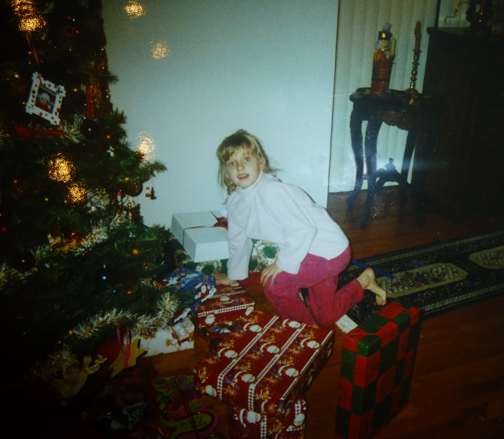 Christmas past- Laura checking out what Santa left her. 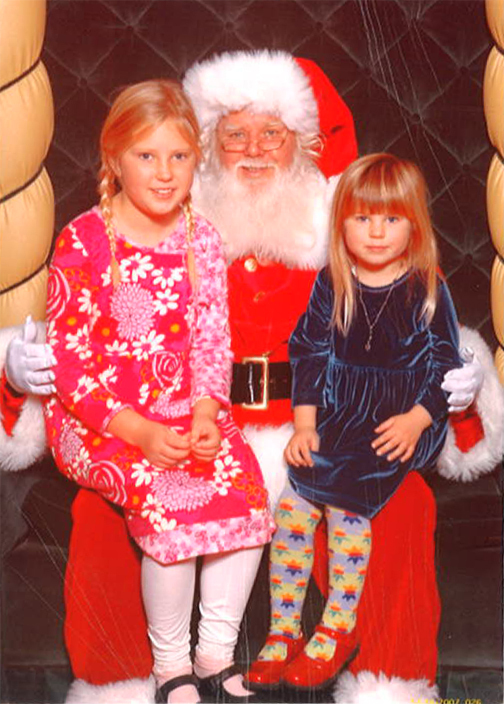 The Anderson girls of the City By the Bay make Santa look positively colorless. 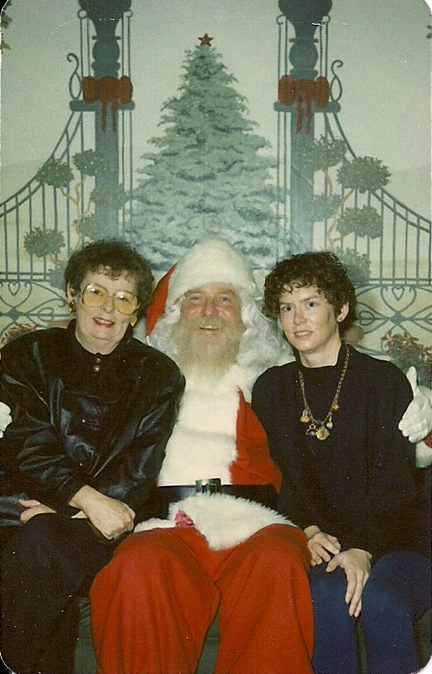 Cynthia Frost and her mom, with the big guy. 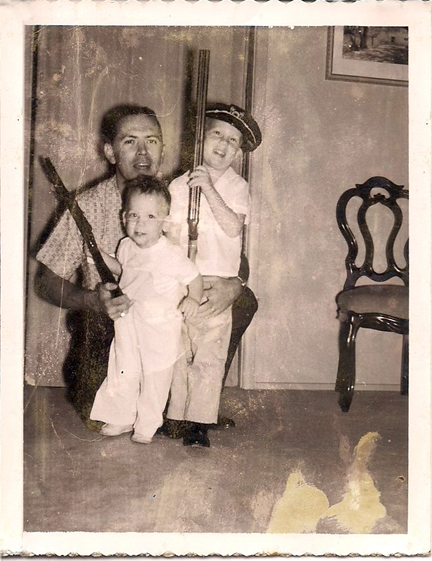 The Frost boys and dad, better armed than their distant cousin Jack Frost. 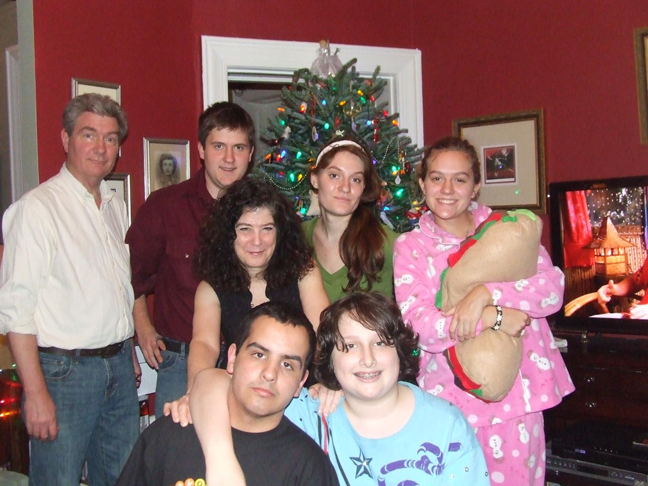 Thinking of Frosty, and Santa: the Frost kids. 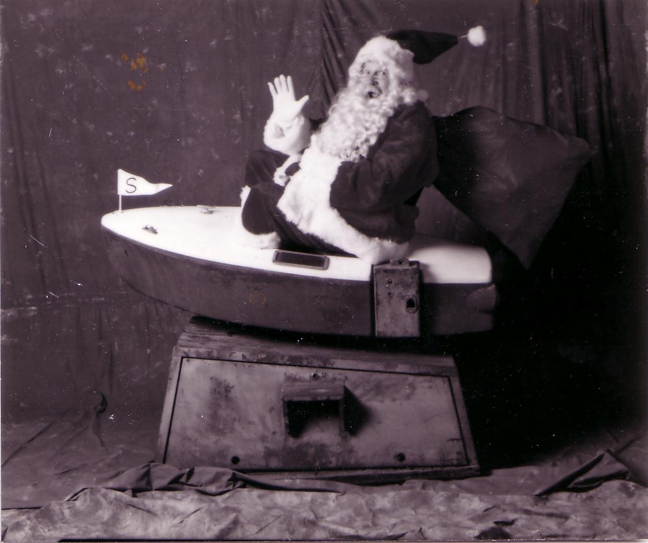 Rare shot of Great Lakes Alternative Sleigh test, courtesy Matt and Jennifer in Michigan.